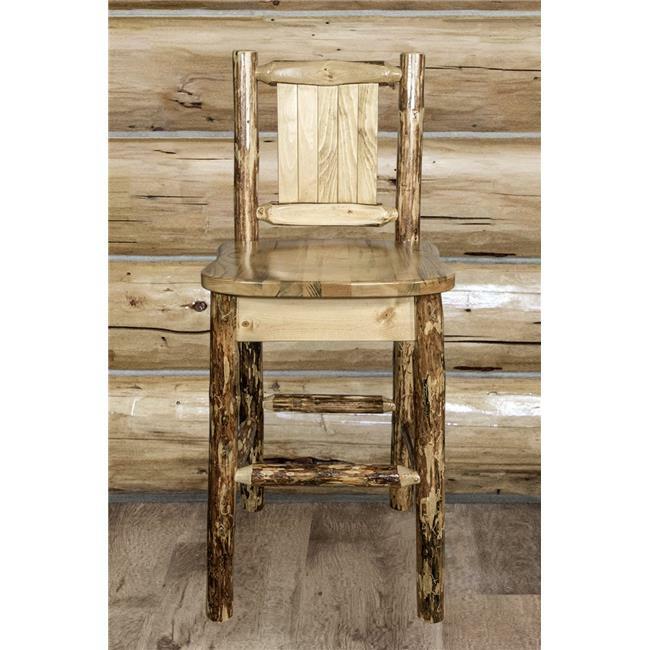 This counter height barstool with back features a laser engraved moose motif and an ergonomic wooden seat and is hand crafted in Montana using solid American wood. Finished in the ''Glacier Country'' collection style for a truly unique, one-of-a-kind look reminiscent of the Grand Lodges of the Rockies, circa 1900. First we remove the outer bark while leaving the inner, cambium layer intact for texture and contrast. Then the finish is completed in an eight step, professional spraying process that applies stain and lacquer for a beautiful, long lasting finish.